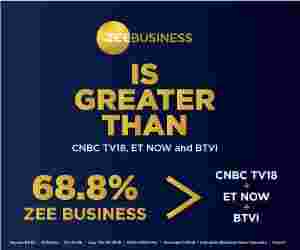 Sources aware of the development have informed Zee Business that the finance ministry is in favour of merging the two slabs of 12 per cent and 18 per cent. The two slabs will be merged to bring a new GST tax slab of 14-15 per cent. With this merger, the five slab structure will decrease to a four slab structure of 0 per cent, 5 per cent, 14-15 per cent and 28 per cent. Presently, there are five GST slabs of 0, 5, 12, 18 and 28 per cent. Consumers may get a bonanza from the government by end of the year or before the general elections that are scheduled to be held in 2019. Actually, the government is planning to rationalise the existing GST tax slabs and reduce the number of tax slabs by merging the slabs of 12 per cent and 18 per cent to create 15 per cent slab. The decision can be taken by end of the year or before elections. The government is likely to submit its proposal to the GST Council asking it to reduce the tax slabs by end of the year. The proposal will be submitted after revenue through GST collections goes up or reaches a specific mark. The government is waiting to end the initial impact on collections due to the expulsion of several products from the 28 per cent tax slab. Earlier on July 21, 2018, the GST Council approved GST rate cuts on 88 consumer-centric items such as cosmetics, refrigerators, washing machines, small screen televisions and sanitary napkins among others. At present, about 640 consumer-centric products fall under the GST tax slab of 18 per cent and this reduction of the slab to 14-15 per cent will help the consumers to be in profit by as much as 3-4 per cent on their purchases. Around 250 products fall under the 12 per cent GST slab. Government is assessing the impact of the decision on revenues. Rationalising and fixation of 15 per cent slab will lower several bills from credit card, mobile phone to machinery, tiles and many others.